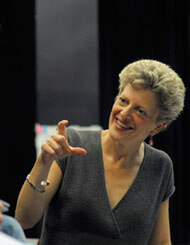 A.C.T.’s artistic director, Carey Perloff, had the most incredible summer. We are wildly jealous of her, but she was extremely generous in sharing these juicy tidbits from her journeys. A.C.T.’s season may be well underway, but we just couldn’t pass up the chance to share them with you now. Gives an intern something to dream about! And plenty to think about . . . But who is this “we”? Who are the new helmsmen of the A.C.T. 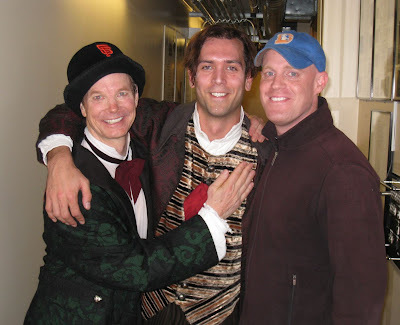 blog—the voracious chasers of information, actors, directors, free pastries? Enter the interns: Emily Hoffman, Jonathan Carpenter, Zach Moull, Christine Miller—publications, artistic, dramaturgy, marketing. This intern quadrumvirate will be your eyes and ears backstage at A.C.T. The people we meet! The things we see! You’ll get it all, and without having to do any of the photocopying or coffee-fetching (just kidding—A.C.T.ers get their own coffee).